Have you ever thought about niching your design business? When done right, it's a great way to stand out from other graphic designers and win more clients. The problem is, it's pretty scary! Saying no to most people in order to say yes to a few is daunting, to say the least. But it can be life-changing for your business. In this masterclass, I talk with special guest, Devan Danielle, about how to choose a niche for your design business. Watch the video below or continue reading to learn WHY you need a niche, how to find it, and how niching has done wonders for both of our businesses. Let me ask you - do you have doubts about your prices? Maybe you think you’re charging too little or too much. Maybe you want to raise your prices but you’re worried that no clients will want to pay you that much money? I understand, I’ve been there. I went from charging $50 for a blog to design to no less than $4000 - I know allll about the evolution of pricing and how scary it can be. 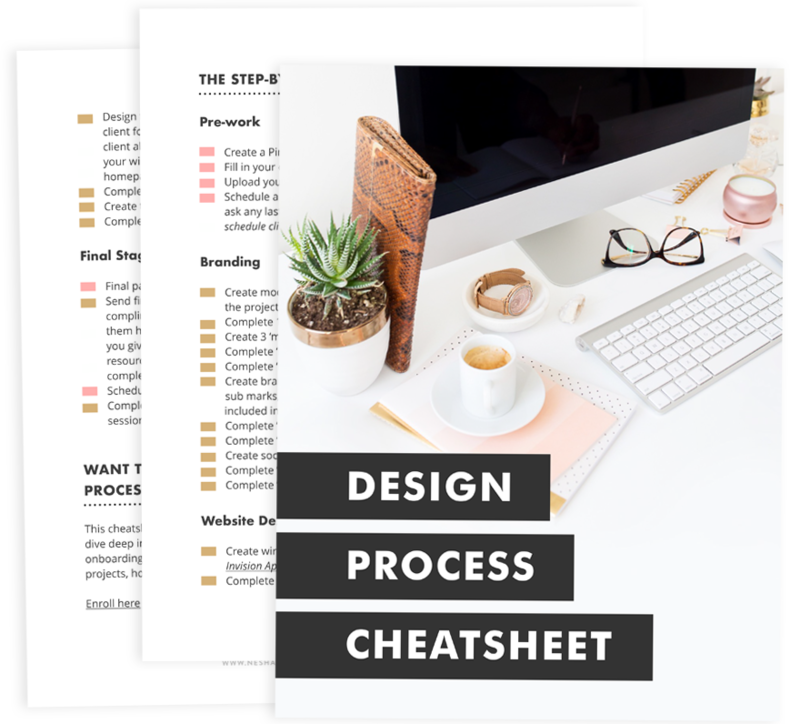 I want to help you figure out EXACTLY what you should be charging your design clients, and I want to help you feel confident about your prices. That's why I'm bringing you this free 1-hour pricing workshop! Watch the video or read on to learn how to strategically price your design services. As all freelance designers and creative entrepreneurs know, contracts are a necessity when working with clients, no matter how big or small the project is. Contracts provide you and the client with a description of responsibilities. It helps you both understand who is responsible for what. Contracts protect you if you encounter problems with your clients. Most designers do have a contract in place, but it's usually either (A) an unprofessional contract they wrote themselves (B) a contract they created from bits and pieces of other designers contracts, or (C) a template they found on some shady website they can't even remember.